Hello and Happy Fathers Day to all the amazing dad's out there and especially to my dad who has taught me so much, encouraged me and loves me unconditionally! You're AWESOME! 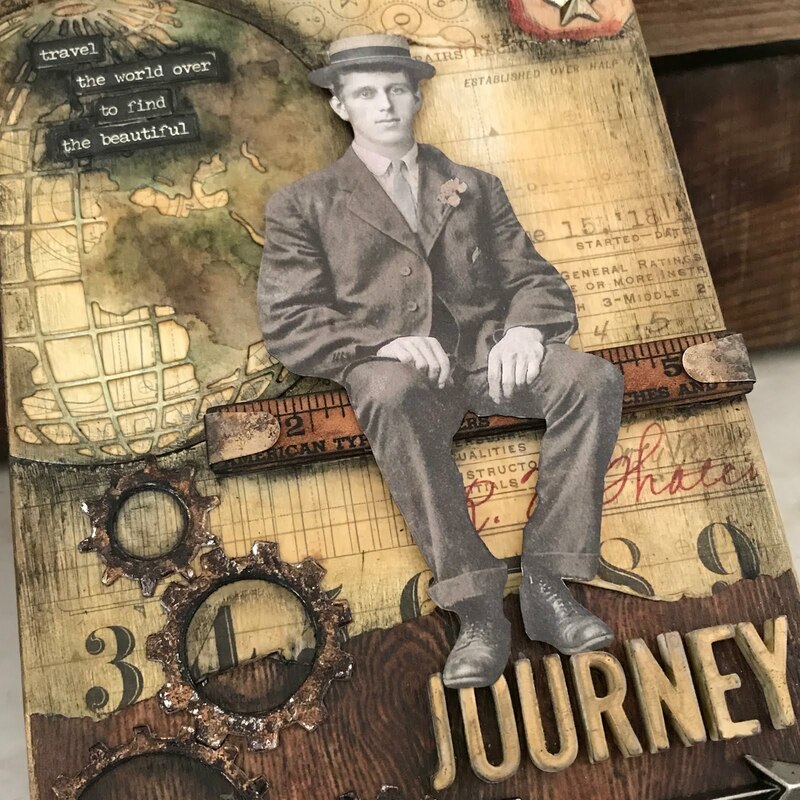 I'm so excited to have a project over on the Simon Says Stamp blog today in honor of Fathers Day. This Mixed Media project features some of my favorite products like Vintage Distress Collage Medium, Woodgrain Cardstock, Grit Past, Sizzix Alteration dies, Paper Dolls, Typography and more. Please be sure to head over to Simon Says Stamp for the full tutorial.